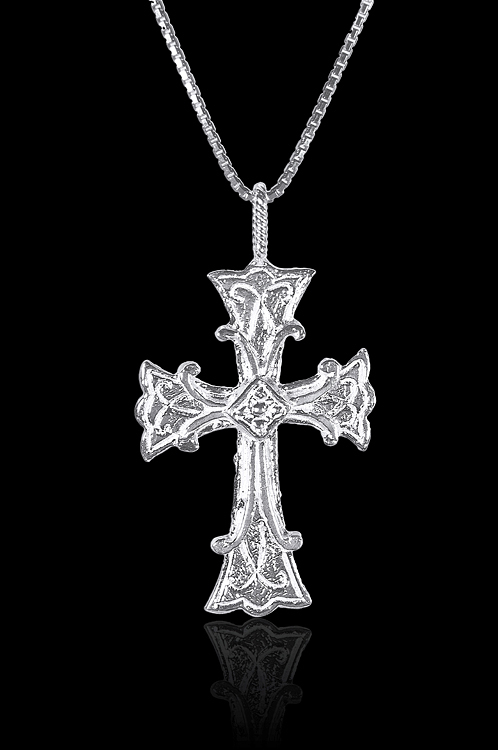 This lightweight silver-colored Armenian cross is an ornate symbol of your faith. Engraved on the back with ?. ???????? (Holy Etchmiadzin) and decorated with an intricate design on the front, this cross makes a perfect gift for adults and children alike.